Delivra, a digital marketing software and services company has recently updated features and updated modules of its platform. These include the addition of a customizable engagement calculation, drag and drop forms, email cloning and contact source tracking. 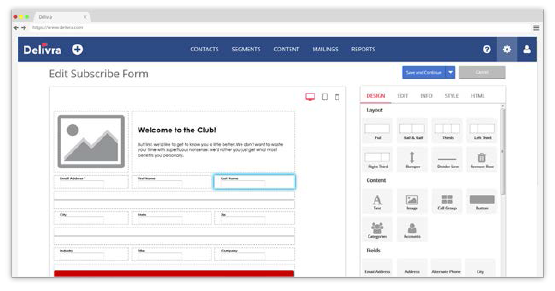 The addition of Drag and Drop Forms allows marketers to create Subscribe Forms and Preference Centres without the assistance of an HTML expert, as well as track form performance and conversion. Delivra users can now clone and resend previous emails they have sent through Delivra with or without adjustments. These mails can go to the same subscriber group or to an different group selected in the platform. Users can make their engagement data work for them in a more customizable way through the new editable engagement score. In it, a marketer can determine what actions are most important to their business and edit engagement score metrics in both mailings and based on contact information for better insights. 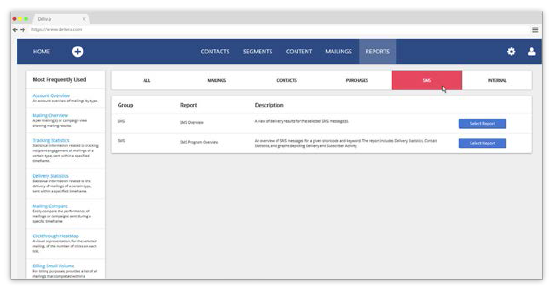 The updated Delivra Mailing Dashboard is meant to simplify workflows and allows users to move between organised mailings and reduce errors. Track the source of subscribers and identify which subscribe forms perform best at growing your contact list. 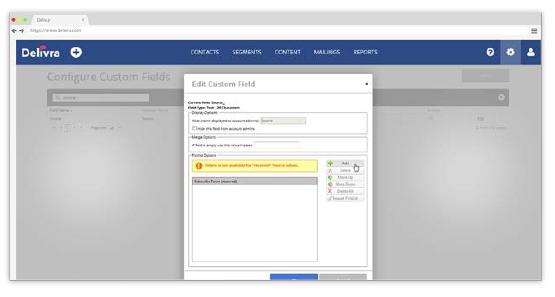 Create new segments to send more customized messages depending on the subscription source. 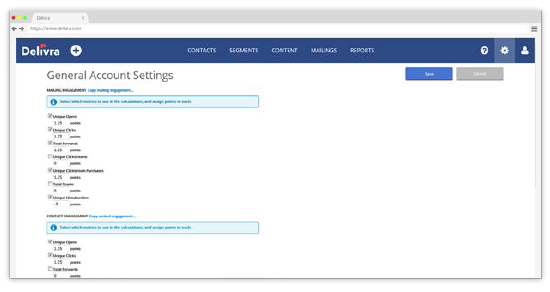 Delivra’s SMS feature can now be accessed from within the dashboards, making it more accessible and place within the normal workflow.